For me, one of the words that defines Barcelona is beauty. I have been living here for almost 19 years and there is not a day that I don’t surprise myself with beautiful buildings, streets, art, sounds, light and food, just to name some of the many sources of beauty the city offers. 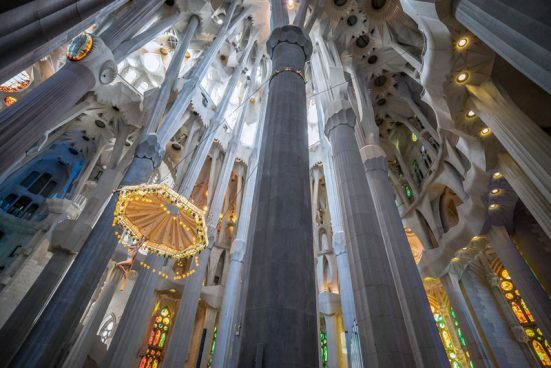 In fact, describing a perfect day in Barcelona is quite difficult because there are so many options and combinations of things to do and see that make it hard to choose just a few. But I will try! 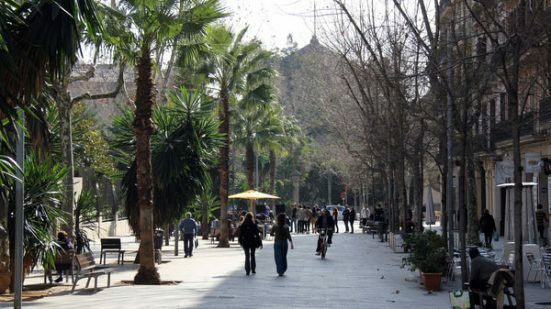 A perfect day would start walking down the street Enric Granados, from Diagonal down to Valencia. This is a very charming street, full of restaurants, cafes, galleries and little shops, many of them unique. By the way, Enric Granados (1867-1917) was one of the greatest Catalan composers and in 2017 we are celebrating the 150th anniversary of his birth. I recommend you look for his music, especially his piano music which is amazing, especially his Escenas románticas. As a singer, I of course recommend his vocal music. I´m sure that knowing his music and history will certainly add to your experience of Barcelona. 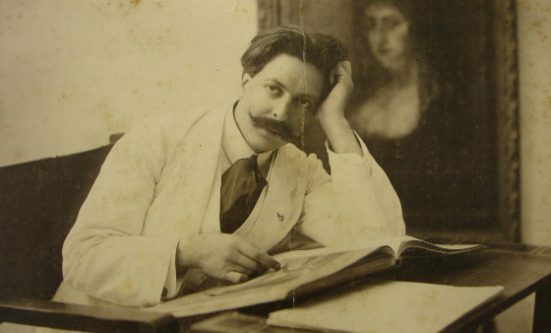 The times of Granados were times of expansion of the city and a flourishing of its arts and culture. At the same time, musicians, poets and architects were creating some of the most important artistic works of the recent history of Catalonia. Architects like Antoni Gaudí (1852-1926) and Lluís Domènech i Montaner (1850-1923), developed unique languages and constructed some of the most amazing modernist buildings of the city. So, the next step in our excursion is to walk all the way to the Sagrada Família, Gaudí’s masterpiece. Living here during the last 19 years I have seen the cathedral grow and change. I can certainly say that during the last 2 or 3 years the cathedral has really expanded and now it looks like it will be finished soon. I visited it last time a month ago, and I when I entered I was overwhelmed by its intense beauty; its light, colours and huge proportions… this is a must see, there is nothing like it in the world. From the Sagrada Família we can walk up through the Avinguda Gaudí, a nice pedestrian street, that brings us to our next destination, the astonishing Recinte Modernista de Sant Pau, the biggest art nouveau site in Europe, declared world heritage by Unesco. 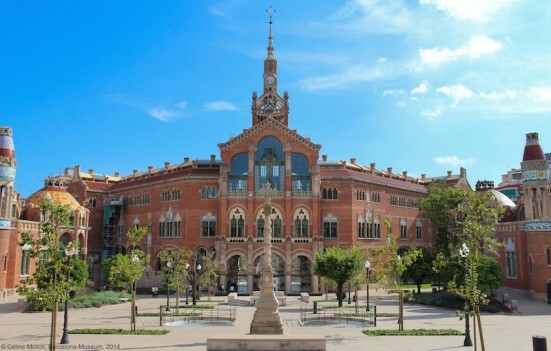 This amazing complex was designed by Domènech i Montaner and completed in 1902. Originally it was a hospital. There you will find amazing mosaics, coloured windows and buildings that are really beautiful. Every time I go there I think of the importance of being surrounded by beauty in order to feel well and healthy. Probably this was one of the aims of the architects of the building, to create a beautiful and relaxing space that would help in the recovery of the patients. I also think that the fact of putting so much effort and resources to build a beautiful hospital, a building that is not only functional but also a jewel of architecture, says a lot about the society that created it, about its priorities and values. The connection between beauty and well-being is undeniable… at the end of the day beauty is defined as balance in proportions, and health is often defined as a kind of balance. 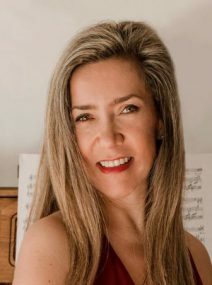 Patricia Caicedo is soprano, musicologist and physician who has successfully developed projects in the areas of music, education, communications and technology. She is recognised as a leading interpreter of the Latin American & Iberian vocal repertory and has sung in the United States, Canada, Denmark, Holland, Italy, Spain, Portugal, Russia, Germany, Puerto Rico and Latin-America to public and critical acclaim. She has published 5 books and 8 CDs that can be found on Spotify. Patricia is the founder and director of the Barcelona Festival of Song, a Summer Program & Concert Series focused on the study of the history and interpretation of the Latin American & Iberian vocal repertoire. As a physician Patricia is the founder of Aesthetic Medicine Barcelona, a medical centre located in the heart of Barcelona, specialising in Aesthetic and Anti Ageing medicine. She attends patients in English, Spanish, Portuguese and Catalan.